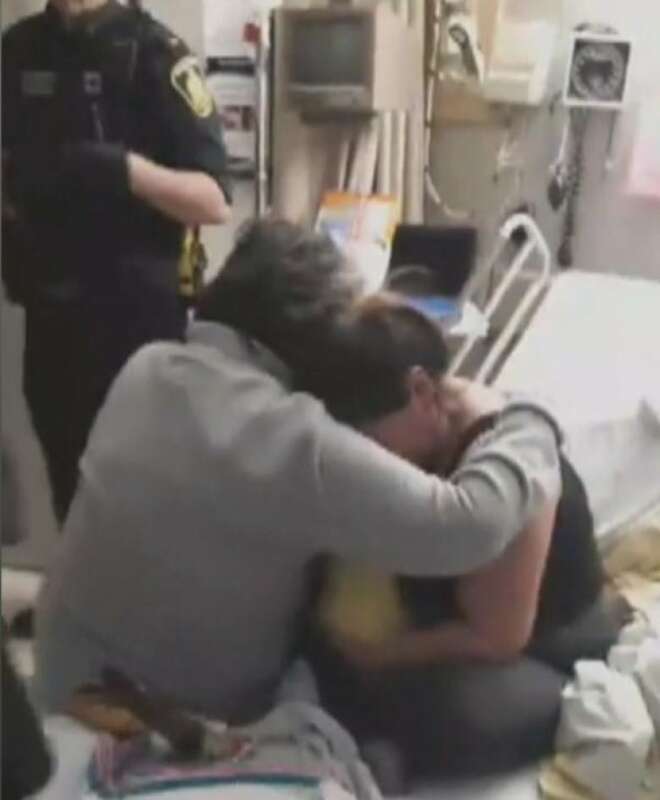 A video shared on social media of child-welfare workers and police seizing a newborn baby is challenging rules around privacy meant to protect families and workers in the child and family services system. Video of a newborn baby being seized by child welfare officials that streamed on Facebook spread quickly across social media after it was posted on Thursday, displaying one family's trauma to everyone's eyes. But a woman who advocates for families involved with Winnipeg Child and Family Services worries sharing the video online risks exposing the family to harsh judgment from people who don't know the full story. "I think it's totally disgusting that people want to see something like this happen, because it's just a sad moment for a family when their children are being ripped from them," said Mary Burton, a co-ordinator with Fearless R2W, a Winnipeg group that helps educate families about the CFS system. The wailing of the family as a newborn baby is taken could be heard far beyond the walls of the room in Winnipeg's St. Boniface Hospital. The mother clutches her daughter as her relatives huddle around her. Then she places her baby in a car seat, which Winnipeg police officers swiftly whisk out of the room. On the other hand, Burton says there's a positive in that the video is raising awareness of these types of apprehensions, which she says happen on average about once every day. "You're damned if you do, you're damned if you don't," said Burton. The ubiquity of social media is challenging rules around privacy meant to protect families and workers in the CFS system. Families are increasingly sharing their experiences with Child and Family Services on social media, according to one professor of social work who has used videos of these interactions in classroom discussions. "This stuff coming out on social media seems to escalate things," said Cathy Rocke, associate dean of undergraduate programs in the faculty of social work at the University of Manitoba. Manitoba's Child and Family Services Act strictly forbids publishing identifying information about any person involved in CFS proceedings, with penalties of up to two years in prison and a $5,000 fine for individuals, or $50,000 for corporations that violate the law. 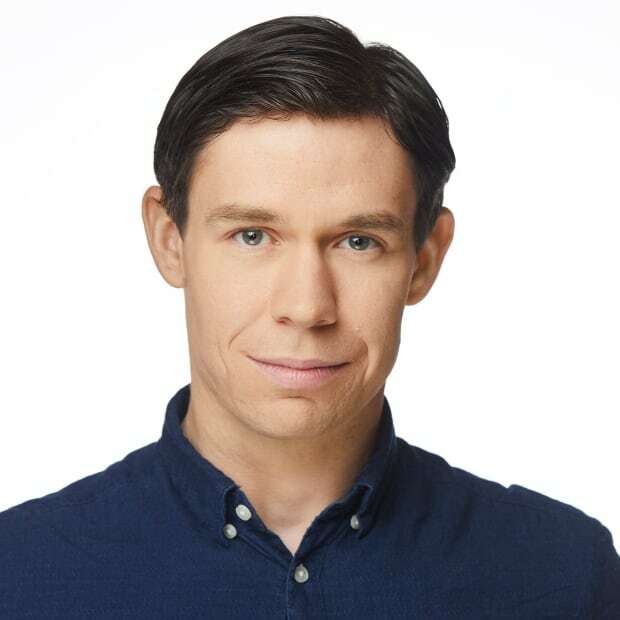 The rules also prevent social workers from sharing information about a family with the First Nations children's advocate, unless the family gives written permission. Those rules make it difficult to get a clear sense of why a child was apprehended in the first place, Rocke said. "The public sees this video [and] will be going, 'Oh my God, what is Child and Family Services doing? They're just going in apprehending, willy-nilly,'" she said. "If you know the entire picture, then I think sometimes you might get a better sense of what's going on." That lack of a full picture also concerns Burton, who says comments on the video revealed a willingness by people to jump to conclusions about the family. "People only see what they want to see and they don't see the whole circumstance," Burton said. As for the family in the video, which was made by the mother's uncle, they feel that sharing it on social media has had positive results. Speaking at a news conference on Friday, the mother said it was important for her to reach out for help. "It's crazy how much people are hearing me now. I've been reaching out for help for months and months," she said. "Good things are going to come out of this. I feel very confident on that." 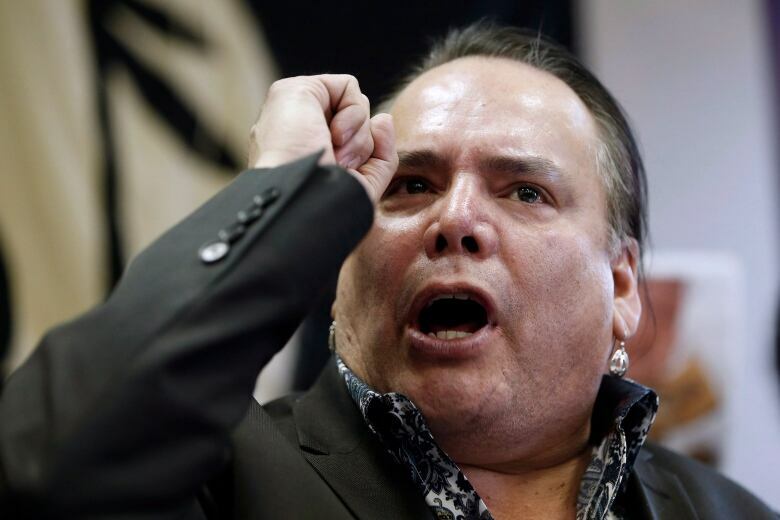 Since the video went viral, First Nations leaders and advocates have contacted the family, and spoke alongside the family at the news conference. The mother's uncle said he's heard from other women who have had similar experiences with CFS. "They're reliving their experience through those videos. It's hard for me to see, but in a way, it's good healing that they're reaching out," he said. Private trauma or public good? Manitoba NDP Leader Wab Kinew said that, although sharing the video on social media might violate the CFS Act as it is currently written, the public interest is being served when people watch it. "If this helps to create empathy for those who want change within the CFS system then I would say that that's another public good that is being served by this," the Opposition leader said. One of Canada's top advocates for children, however, said she refuses to watch the video and is urging people to stop sharing it. 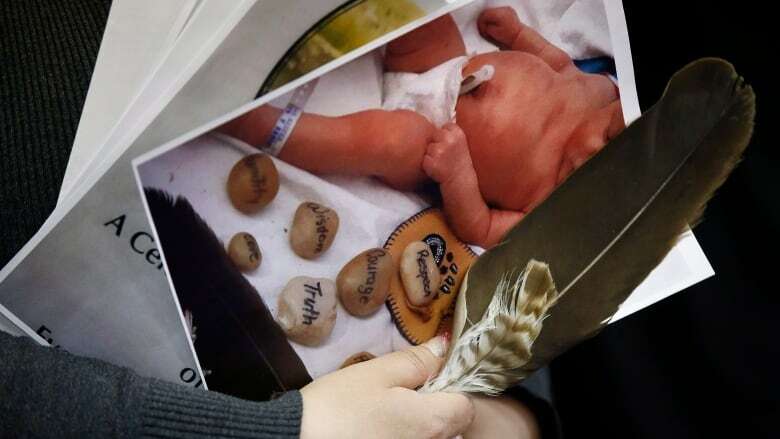 "I think those things should only be shown after the family has been able to come through the emotional stage and make the decision that 'I want this to be one of my baby's memories and for this to be out there, on the balance of public interest,'" said Cindy Blackstock, executive director of the First Nations Child and Family Caring Society. As more families turn to social media to share their experiences with the child welfare system, those with children in care, along with social workers and family advocates, will have to make similar decisions about how much of their private pain they want to make public.